EUREKA! Mother Mother have struck gold with their brilliant brand of indie pop. 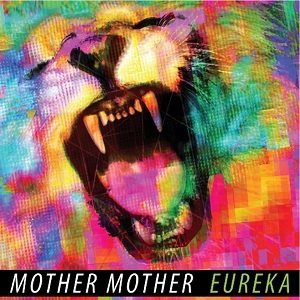 Kinda pressed for time today so I can’t really go as in depth as I’d like on why Mother Mother’s EUREKA is one of the best albums of the year. All I can say is take a listen below yourself and the reasons should become pretty self evident. The unique blend of pop and rock that Mother Mother bring this time around is nothing short of creative genius. From memorable lyrical hooks, insane falsetto vocals, and wonderful duets to soaring piano scores, gargantuan noodling, and thrashing guitars- EUREKA is a giant melting pot of indie delights. If your looking for something unique to add to your musical collection look no further then this masterly crafted album. Do yourself a favor and LISTEN TO THIS AMAZING ALBUM. You simply will not regret it. EUREKA in its entirety provided for your listening pleasure from Soundcloud. Categories: Top 10 Albums of 2011! | Tags: Best of 2011, Canadian, Eureka, Indie Pop, Indie Rock, Mother Mother, Top 10 Albums of 2011 | Permalink.